South Gloucestershire is a place where all children and young people enjoy a safe and healthy life, achieve their maximum potential and thrive in their community. We will ensure children, young people and their families are provided with integrated, accessible and equitable services which are designed to target early intervention and support on disadvantaged and vulnerable children and young people and their families; be flexible and user-friendly and involve children, young people and their families and put children, young people and families at the heart of what we do. 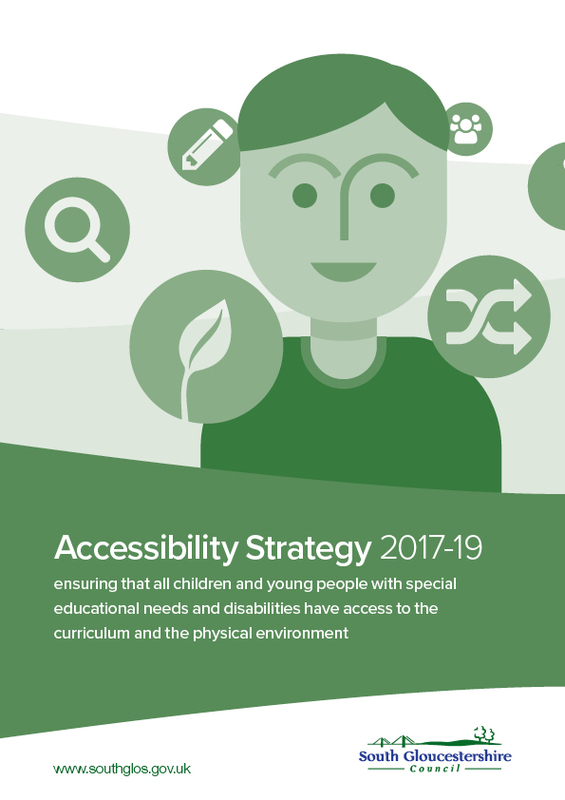 The purpose of this strategy is to ensure that all children and young people with special educational needs and disabilities have access to the curriculum and to the physical environment. Improving access to education is vital to improving inclusion within mainstream schools, ensuring equality of opportunity, ensuring access to employment opportunities and in ensuring that all children and young people with special educational needs and disabilities have every opportunity to achieve their full potential. We aim to ensure that all children and young people with special educational needs and disabilities have access to the curriculum and to the physical environment.